We’re all set for the first ever SmackDown Live with the new SmackDown roster! And if you know anything about Monday Night RAW last night, SmackDown’s got some serious work to do. But enough about that – let’s take a look at what WWE wants us to keep an eye on for tonight’s episode! In the spirit of friendly competition between WWE’s two premium brands, SmackDown Live struck first by beating Raw in the ratings last week! There is no doubt that Shane and Bryan intend to keep it that way. But how will they maintain their success? I said it in the intro – SmackDown Live has its hands full if they want to compete with what Raw delivered this week. Raw gave us a memorable moment in the Women’s Division and they made a new star in Finn Balor. So…what’cha got, SmackDown? If SmackDown’s to compete this week, they’re going to need to deliver on some of their new NXT talent. If the future truly is now, we need to see American Alpha and Alexa Bliss specifically come out and kill it. 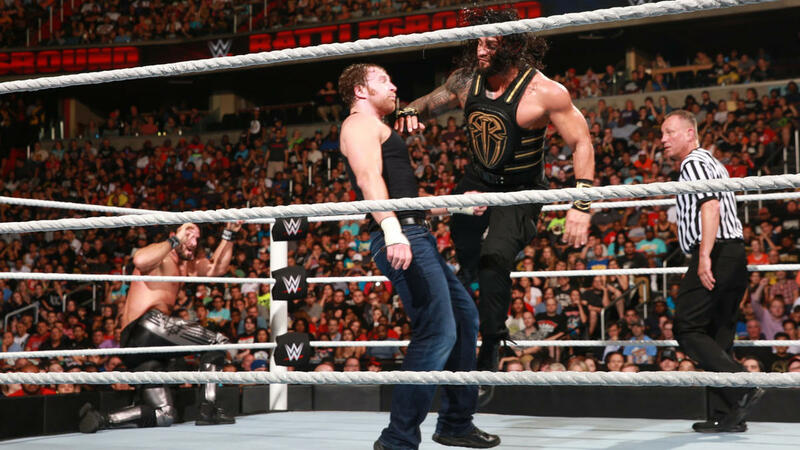 What’s next for Dean Ambrose and the WWE World Heavyweight Championship? Could it be SmackDown Live’s resident 15-time World Champion John Cena? Or maybe it’ll be the Superstar who has made it his mission to neutralize the Cenation for months (and who likes a good title now and again), AJ Styles? Wouldn’t Randy Orton love to be WWE Champion heading into his SummerSlam showdown against Brock Lesnar? Or with Bryan known to fight for the underdog, what about the powerful Apollo Crews? Dean Ambrose is a made man. He decisively defeated his former Shield brothers over the past week and now sits at the top of the new SmackDown Live with the WWE World Heavyweight Championship in hand. So who’s next for that crazy lunatic (Maggle)? It certainly could be AJ Styles. It could be John Cena. It could even be both. Dean Ambrose seems the type who would want to defend his title on the first episode of SmackDown Live, doesn’t he? Either way, I expect Ambrose to lead the charge tonight by being aggressive and putting the belt out there for whomever wants a shot. 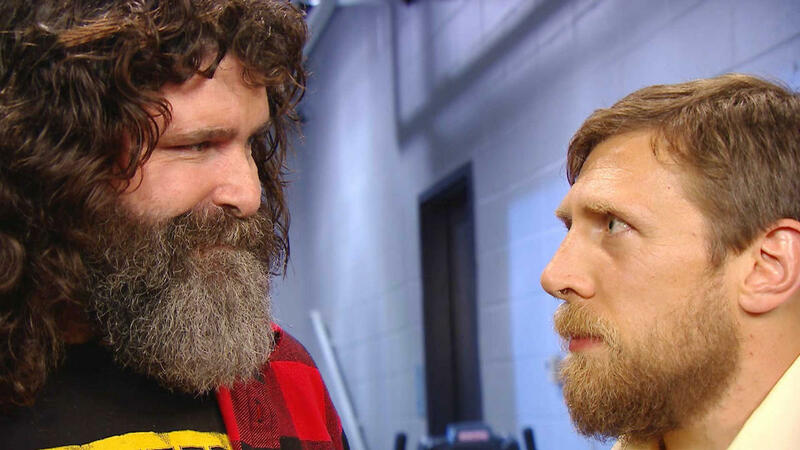 Another thing that may set SmackDown Live apart from the competition is the potentially catastrophic nature of those currently residing in its locker room. In addition to the unstable aforementioned WWE Champion, what about the likes of The Viper Randy Orton? Or the vicious Baron Corbin? Demon Kane? Are you kidding me? Huh. Now that you put it that way, SmackDown DOES have a lot of mysterious/volatile characters. Dean Ambrose, Bray Wyatt, Randy Orton, Baron Corbin…Kane, I guess. That’s a lot of personality, attitude, and questionable decisions. They really ought to let these guys run wild all over this new SmackDown brand. Perhaps the most exciting element of the WWE Brand Extension Draft was the announcement that six NXT competitors would be among those selected. While the possibilities may not be “endless” – looking at you, Mojo Rawley – NXT is poised to make a great first impression on SmackDown Live. American Alpha seems to be THE tag team of SmackDown on paper. They’re going to excel and impress in their debut. As an avid NXT watcher, I’m sure of it. Alexa Bliss is the NXT call-up I’m most eager to see, however. I don’t think it’s an overstatement to call her one of the absolute best talkers in the Women’s Division. She’s phenomenal. I want to see where they put her on the card. As for Carmella, she’s improved an awful lot over the past year. She’s still a bit green, but she connects with crowds. We’ll see where she ends up. But the future is NOW for these NXT alumni; let’s see how they handle their newfound spotlight. So that’s what WWE wants us to be talking about this Tuesday afternoon! But what do YOU think of SmackDown Live? Can SmackDown live up to the hype of last night’s RAW? Let’s us know what you think in the comments below!